I kindly invite you to participate in the special program of glorification, worship, kirtan, prasad distribution, and other devotional activities to be held on this auspicious day. We shall feel blessed to have your association and presence at either our Santa Cruz or San Jose Seva Ashrams. The program will begin with arotik at 6:30 pm, but there are opportunities to engage in seva all day long. Just come early if you’d like to be engaged in devotional service. 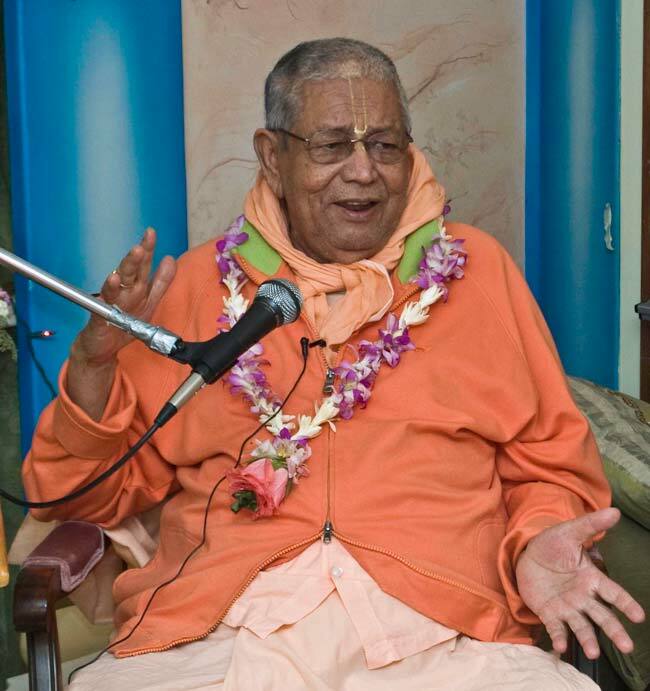 I offer my obeisance unto he who perfectly fulfils his Gurudev’s most cherished desires; who is fully adorned with the blessings of his Gurudev’s associates; who is expert in all aspects of Vedic knowledge, both conceivable and inconceivable; who is the pre-eminent follower of Srila Rupa Goswami Prabhu’s line; who is known as ‘Govinda’—Srila Bhakti Sundar Govinda Dev-Goswami Maharaj; whose beautiful, effulgent, exalted form is infused with pure devotion; who is the Guru of the entire universe; and who is the giver of the seed of divine love for the Supreme Lord. 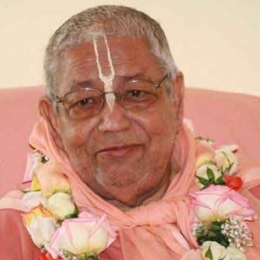 Sripad Bhakti Kamal Tyagi Maharaj arrives April 23rd. 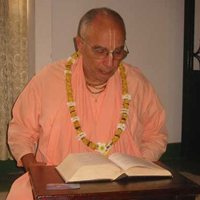 Srila Bhakti Kusum Ashram Maharaj will be here from April 24th to May 1st. There will be a community meeting about Sri Govinda Mela on April 29th with Janardan Maharaj, Ashram Maharaj and Tyagi Maharaj. Sri Govinda Mela will be July 17-21st. Click here for details.